This little gem from the drugstore is one of my favourite concealers for covering my birthmark. One thing I have learned throughout my days of birthmark covering is that when it comes to concealer, price does not equal quality. You’ve probably heard about this concealer a million times from other beauty bloggers, but not all beauty bloggers have red facial birthmarks. I’m here to report that this concealer definitely has the red birthmark stamp of approval. This totally affordable drugstore option is one of my favourites for two reasons: coverage and lasting power. 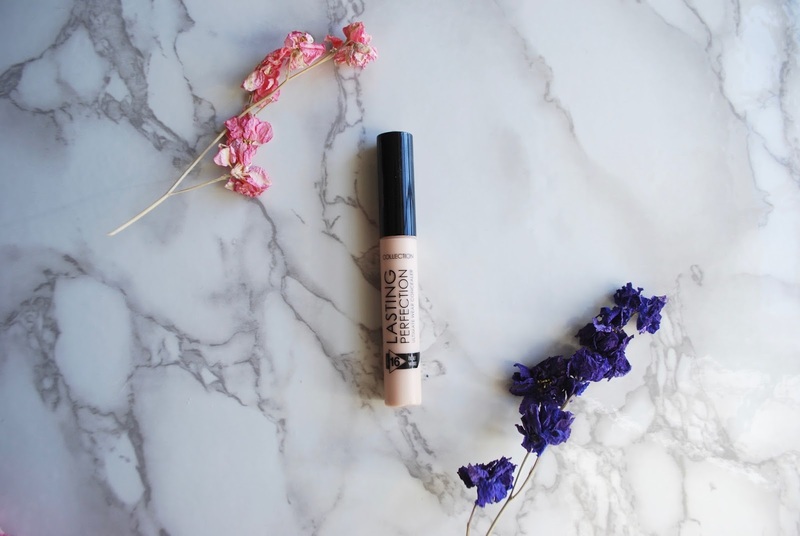 By applying the Collection Lasting Perfection concealer (I use the shade Fair) using my birthmark coverage method, I am able to completely cover all the redness above my lip. Also, crucially, this concealer dries down. This allows the coverage to last for longer than any other concealer I have tried. Don’t run away when you read the phrase “dried down”—it dries just enough to last for hours without looking dry or cakey. The problem with concealers that bill themselves as moisturizing and dewy is that when it comes to covering serious redness, they are often lacking in lasting power. I find these concealers work better under the eyes or on smaller areas of redness. Another problem I have encountered with pricier concealers that are advertised as moisturizing and full-coverage is that the product seems to breakup and separate throughout the day. Especially when you set the Collection Lasting Perfection with powder, this separating effect does not occur. Such a winner. Now if you'll excuse me, I might as well go flush my pricy concealers down the toilet. Have you tried the Collection Lasting Perfection concealer? What is your favourite concealer? Sound off in the comments below.